Put the key in the door & you are instantly ready to enjoy retirement. 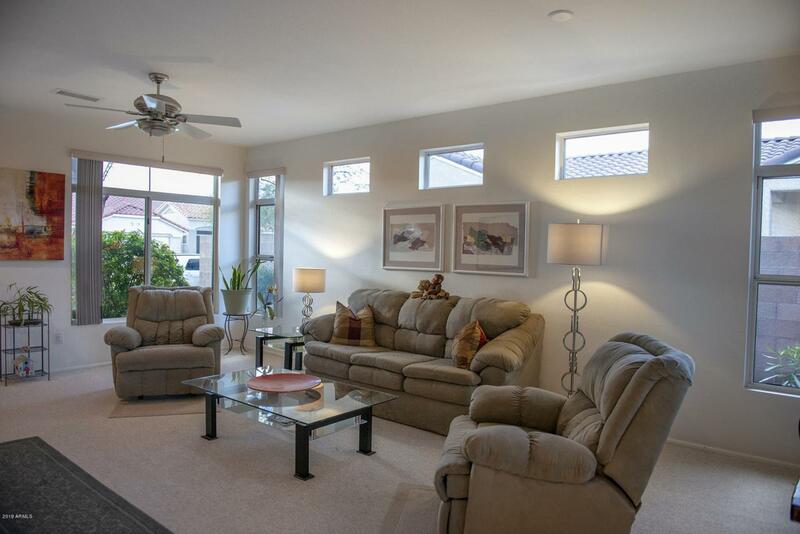 2BR/2BA Paradise model offers 1,254 sq. 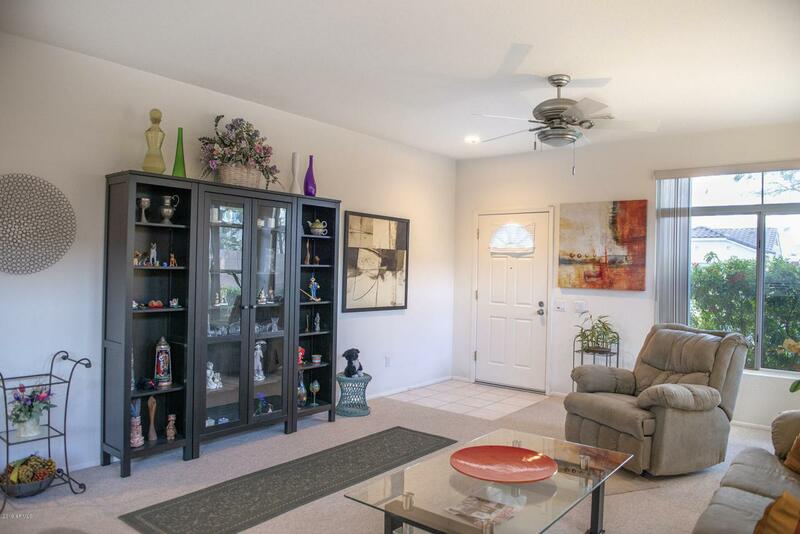 ft. of living space w/an open living room, high ceilings, and eat-in kitchen with refaced cabinetry. 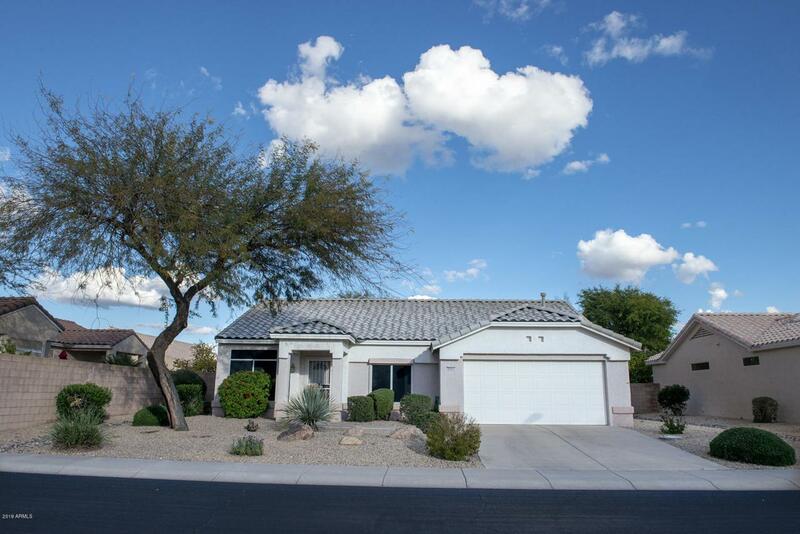 Spacious MBR w/bay window features dual vanity en suite w/brushed nickel fixtures, separate shower room w/elevated commode, & generous walk-in closet. 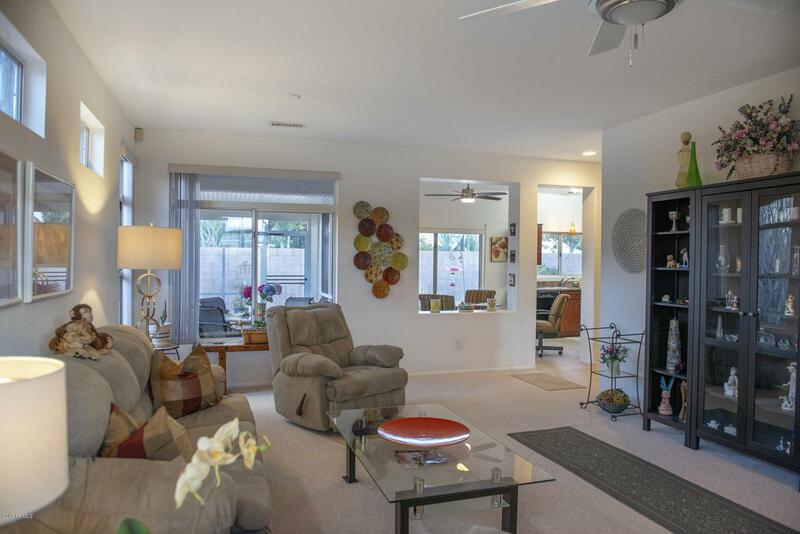 Relax in the expanded, screened lanai and enjoy the serene fenced yard. Irrigation system recently replaced in back yard. Inside laundry room. Garage boasts ample storage. Convenient to Palm Ridge Rec. Ctr. Roof underlayment 2 yrs old. HVAC new in '11. Furniture available for purchase outside of escrow.